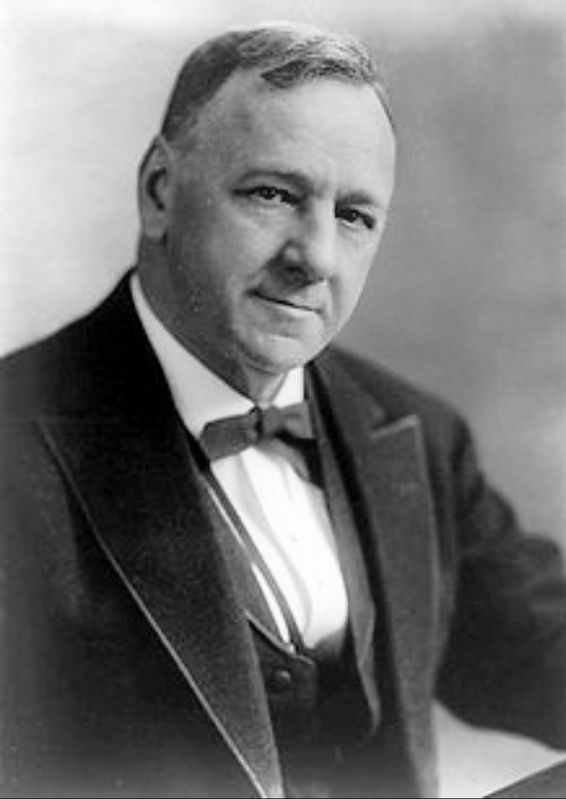 Secretary of the U.S. Navy 1913-1923; U.S. 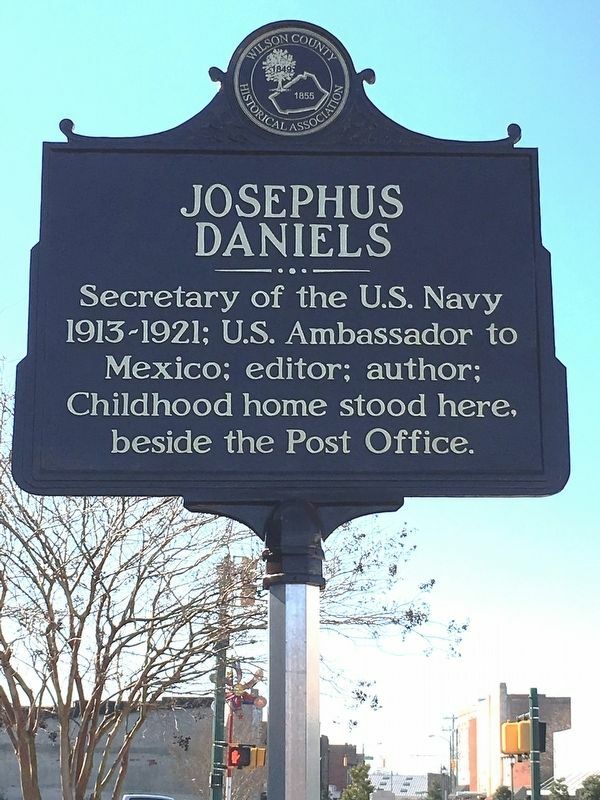 Ambassador to Mexico; editor; author; Childhood home stood here, beside the Post Office. Erected by Wilson County Historical Association. Location. 35° 43.554′ N, 77° 54.642′ W. Marker is in Wilson, North Carolina, in Wilson County. 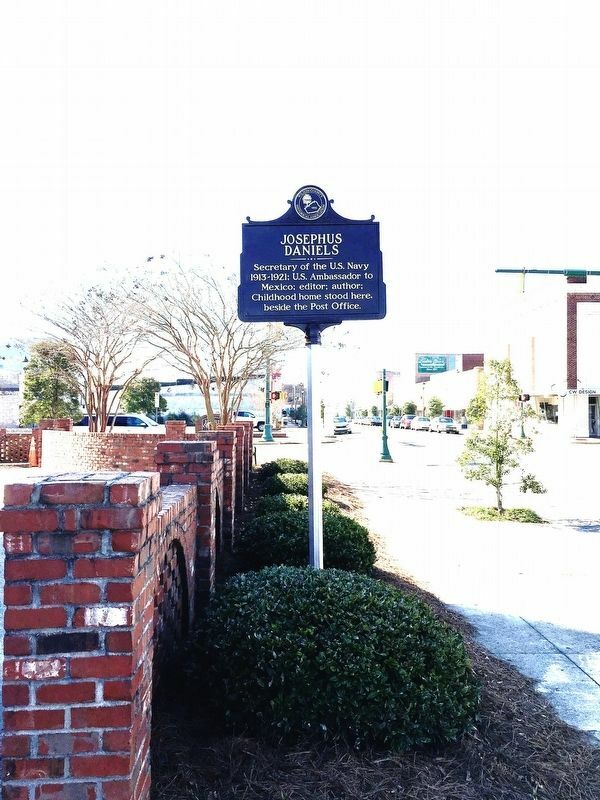 Marker is on Tarboro Street Northeast 0.1 miles east of Nash Street Northeast (State Highway 58), on the right when traveling east. Touch for map. Marker is in this post office area: Wilson NC 27893, United States of America. Touch for directions. Other nearby markers. At least 8 other markers are within walking distance of this marker. Hackney Wagon Company (within shouting distance of this marker); Combat Wounded Veterans (within shouting distance of this marker); Henry G. Conner (within shouting distance of this marker); Wilson County Civil War Memorial (about 300 feet away, measured in a direct line); The Wilson Times (about 300 feet away); First ABC Store (approx. 0.2 miles away); R.D.W. Connor (approx. 0.2 miles away); John Fletcher Bruton (approx. ¼ mile away). Touch for a list and map of all markers in Wilson. More. Search the internet for Josephus Daniels. Credits. This page was last revised on March 5, 2019. This page originally submitted on March 4, 2019, by Brandon D Cross of Flagler Beach, Florida. This page has been viewed 89 times since then. Photos: 1, 2, 3. submitted on March 4, 2019, by Brandon D Cross of Flagler Beach, Florida. • Bernard Fisher was the editor who published this page.